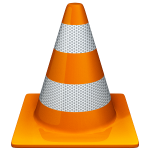 Another (bugfix) release of the VLC media player is ready. The time between this release and the previous 2.0.1 was longer than usual, due to a recent fall-out between several of the core developers. For a while, it looked like the VideoLAN project’s existence was doomed when their most important Linux developer quit the team out of frustration. However he re-joined, and the dust has settled again. The VideoLAN web site still does not have an official blurb about the 2.0.2 release, two days after making it available, so I decided to mention it on my blog without waiting any further. For this vlc-2.0.2 package, I also updated several of the internal libraries (ffmpeg, x264, lame, bluray and upnp). Note that the BluRay support in VLC (at least in my package) works only for unencrypted disks. Unencrypted BluRay disks are pretty rare birds. Playback of encrypted BluRay DVD’s requires that you also install my libaacs package: http://slackware.com/~alien/slackbuilds/libaacs or http://taper.alienbase.nl/mirrors/people/alien/slackbuilds/libaacs/) and find yourself a set of AACS decryption keys (see these comments for some hints on that). 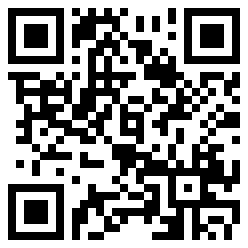 Note 01-jul-2012: The release notes for vlc-2.0.2 have been published on the VideoLAN web site. Posted: 30 June, 2012 in Slackware, Software. Eric, Any chance that you will be updating the mplayer packages to the latest 1.1 version? Eric, does your VLC package support VDPAU ? If you install my libva, vdpau-video and libvdpau packages, then my VLC package will use hardware accelerated video playback for all supported video formats. See http://alien.slackbook.org/blog/decoding-hd-video-in-vlc/ where I documented this earlier.